OK, let me rephrase this. Doing all of this while achieving the goal of LatinaMeetup’s mission was the hard part. I mean, if you didn’t know this before, let me remind you that I am NOT an event planner. I am a digital marketer and damned good at it. In order to know your strengths you also need to acknowledge your weaknesses. Event planning would be checked off under the weaknesses column for me. But I’m getting a lot better. The type A overachiever in me wouldn’t allow me to slack. That means that at the very least I would practically kill myself to deliver. The good news is that the event was a success on many levels. 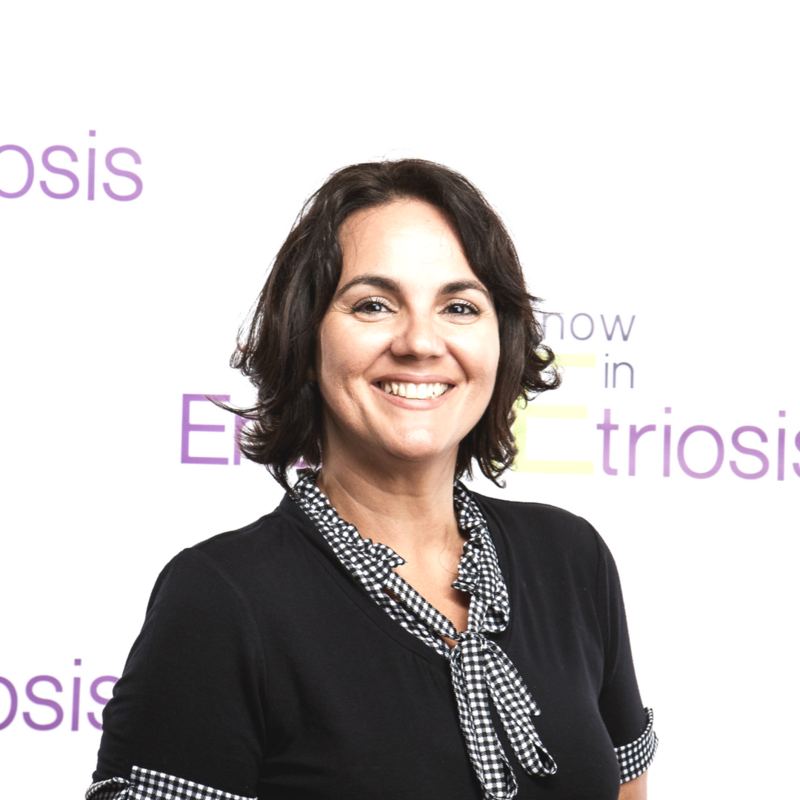 We welcomed 218 amazing Latina professionals. Many were hand selected by yours truly. I wanted to sprinkle the event with ladies from PR, but also include about 70% of people who are not in the blogging or marketing industries, because that’s where the new opportunities come into play. 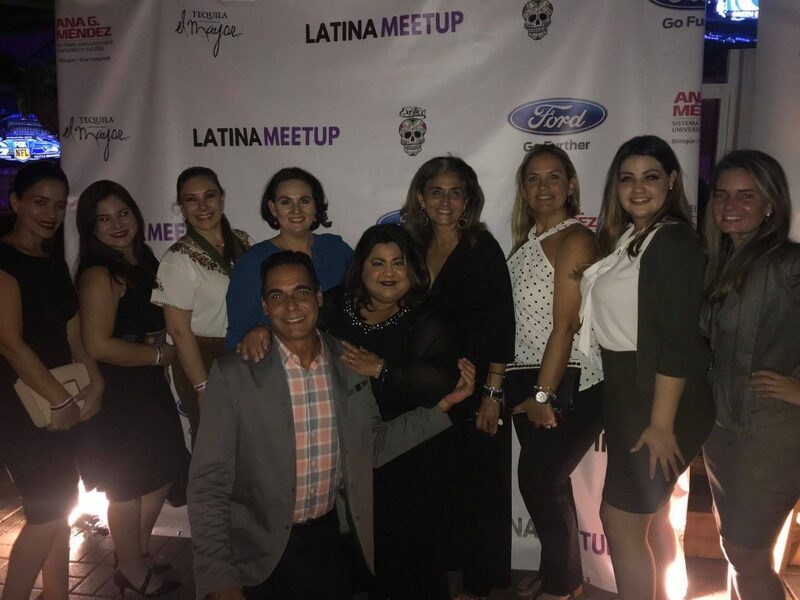 My mission with LatinaMeetup events is to connect Latina professionals in an effort to support each other in business. I wanted to ensure that we had doctors, attorneys, aestheticians, marketers, media, crafters and everything in between. That’s where I believe the magic happens. The feedback was amazing and tells me I’m on the right track. The feedback is what fuels this passion and makes me want to work ridiculous hours on what is essentially a nonprofit venture at this point. Mind you, I’m missing out on the tax benefits, but in reality, I’m a marketer and an entrepreneur, so there is a plan for monetization in the future. As usual, I made several mistakes and these will go down on my checklist for the next event. Among the things that I wasn’t happy with were the music. While I requested some soft Brazilian jazz as background music, the overzealous DJ insisted on playing club music at full blast. That’s not conducive to networking and talking business, but luckily, our ladies were there to connect and do just that. I think the solution may be to bring my own DJ moving forward to ensure this doesn’t happen. I need to get a back-up to my back-up photographer. We basically use two separate photographers. One is for the professional head-shots, more about that later. The other is for the event itself. The event photographer did not show at the last minute, so I’ve had the pleasure of crowd-sourcing the event images. Thank goodness I had invited a good amount of those aforementioned bloggers! These ladies always come ready to take photos. It’s time to step up our video game. Yes there is a lot of content out there from Instagram stories and the like, but we need to start capturing video of the events. We have had some amazing speeches from both honorees and sponsors. In fact, Graciela González, our power Latina from Exotico Tequila and El Mayor Tequila, brought the house down with a limerick. I am killing myself for not getting that on video. Let me explain how much care goes into selecting our sponsors. These are companies that meet a specific criteria. They have to either be a Latina run business or support Latina causes. Exotico Tequila and El Mayor Tequila. Graciela González and the Luxco team really have made it possible for me to grow LatinaMeetup and bring it to several cities. I couldn’t ask for a better partner. They GET the vision and support it in every way. What’s exciting about working with them is that Graciela is a Latina tequila boss lady. That’s right folks. She is a 4th- generation distiller and tequila ambassador for El Mayor and Exotico 100% agave tequilas. 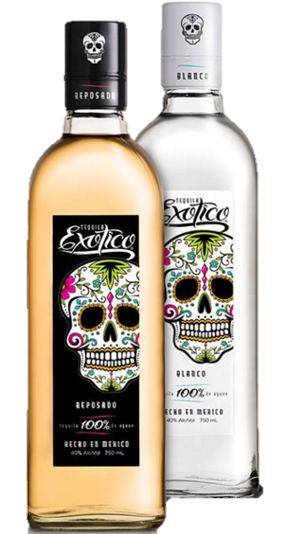 If you want to support a Latina tequila brand that is delish, you have several options. El Mayor is a Yes folks, I am slowly but surely becoming a Tequila lover. Learn more about El Mayor Tequila here and thank me later. Ford Latino does a ton for Latinas. Ford Motor Company’s Mujeres Legendarias is a platform that recognizes the efforts and work of local Hispanic women in their respective communities throughout the United States -from the working mom that exemplifies values to the traditional Latina that volunteers her time in the community. This initiative honors their journey and celebrates their ongoing contributions in the areas of leadership, community involvement, innovation, and sustainability. 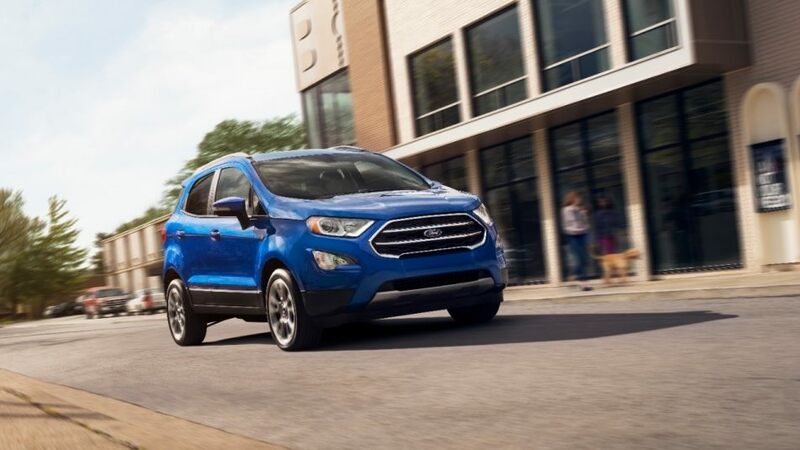 So, let’s support them back and check out the new 2019 Ford EcoSport which is Fun, capable and connected and full of a ridiculous amount of features! I reached out to AGMUS because I know the work they do for Latinas, especially with their Discipline-Based Dual Language Immersion Model®. This education model consists of teaching all its courses alternating one week in Spanish and one week in English, focusing on generating skilled bilingual professionals. . Their enrollment is 70% Latinas aged 30-44. That’s my demo yo! Visit the AGMUS site to learn more about your degree options. We had so many cool goody bag items and prizes thanks to our bag & prize sponsors! Check out the list and stay tuned for my next post on Latina businesses to support this holiday! In the meantime, feel free to click on each link and shop away amigas! 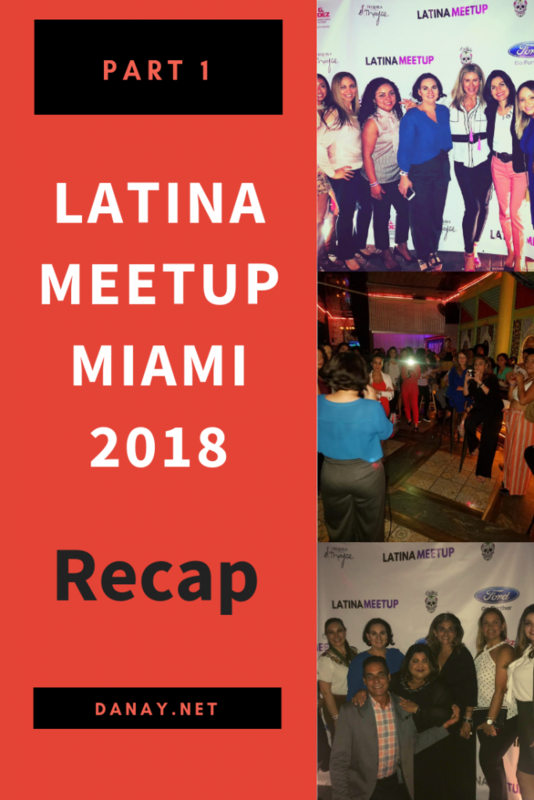 This is the first in a series of posts about LatinaMeetup Miami. Coming up next will be one about the amazing Power Latinas we celebrated and how you can nominate our next honorees. Finally, what would you have done differently and what would you love to see at the next event? I had a wonderful time. I can’t wait till the next event! This looks like it was such a good meetup! I love seeing other bloggers meet up, and meeting other bloggers. It is a really fun community for sure. It was amazing Jessica. Thanks! They keep getting better so I’m always excited/scared for the next one. This looks like such a fun meetup. I think it’s always nice when you can meet other bloggers. Especially bloggers you have become friends with online and never met in person. So glad you had fun!! Sounds like a fun meetup! I love challenging myself and trying new things. This event looks like it was fun regardless of the things that you think were not perfect. It is so important to get out there and do things like this. Looks like you guys had an amazing time! Good company over tequila is always a good idea.